33% discount! 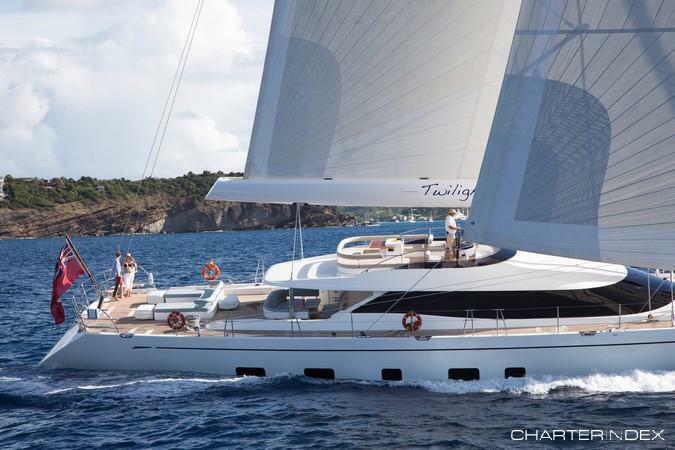 This stunning 125′ Oyster TWILIGHT is offering exceptional discounts until 31st January in the Caribbean. Call now for details. TWILIGHT is a 2013 Oyster 125 designed by Dubois with two specific requests from an experienced owner who has built more than a thousand yachts: Make her fast and make her comfortable. Dubois certainly exceeded the brief in this luxurious and powerful high performance Superyacht. 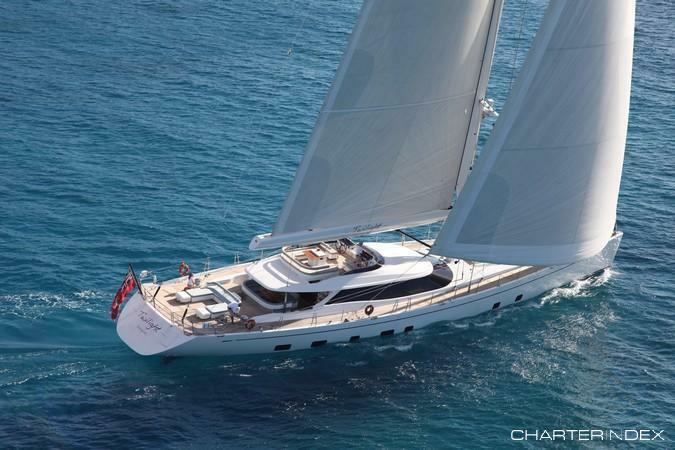 She is one of the ultimate charter sailing yachts in her range. TWILIGHTS’s Rhoades Young interior affords 360 degree panoramic views from her upper deck saloon in air conditioned luxury for formal dining at her fabulous, ten seat inlaid wood dining table, while her aft cockpit and deck with seating for ten offers sumptuous alfresco dining and sunbathing. 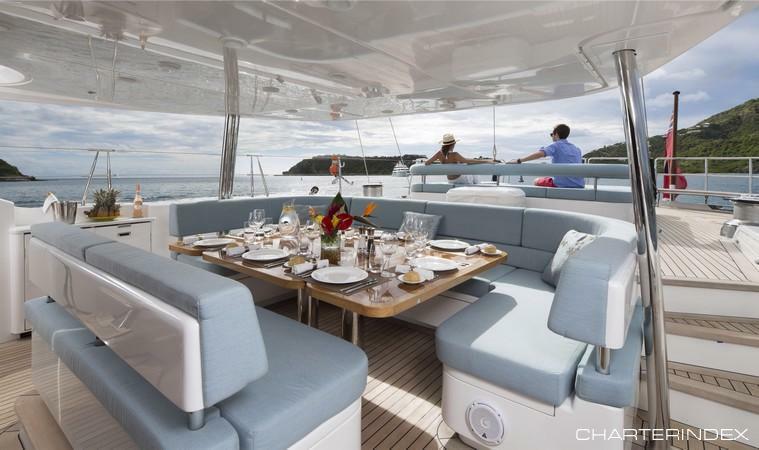 Unique in this Oyster yacht is her well equipped super yacht flybridge affording spectacular views. With bar, fridge and more dining space, it’s the ideal spot to relax with a cocktail and watch the sunset. 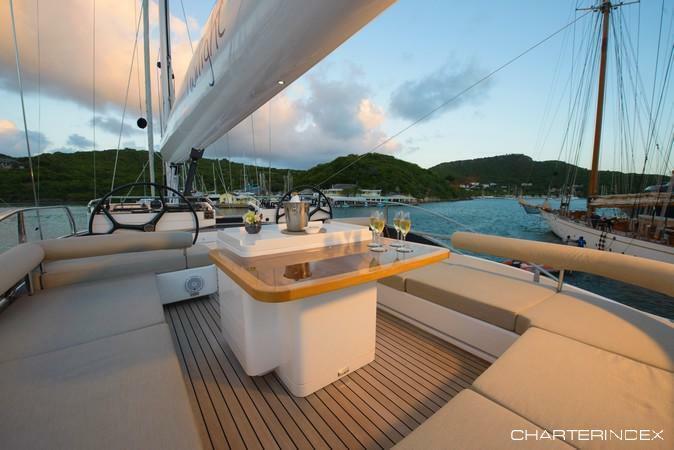 This exceptional Oyster Yacht offers accommodation for eights guests in four luxurious en-suite cabins. The full width master stateroom is complete with a king size bed, sofa, large viewing ports two full length closets and a writing desk. The en-suite bathroom has a large shower and toilet equipped with ‘his and her’ sinks. There are two double cabins with queen size beds which may also be divided on request to make singles. They are equipped with sofas, ample closet space and private en-suite bathrooms. The fourth guest cabin offers two full singles and an en-suite bathroom and shower.